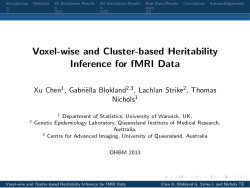 This collection organizes a number of different posters and talks from NISOx and NISOx collaborators at the 2013 Organization for Human Brain Mapping (OHBM) in Seattle, 16-20 June. This section lists OHBM 2013 standalone talks by NISOx and NISOx collaborators. 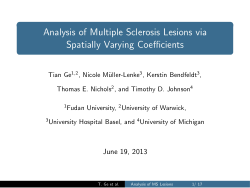 This section lists posters submitted to OHBM 2013 by NISOx and NISOx collaborators. 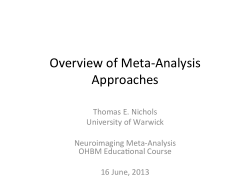 This section lists all available OHBM 2013 courses created by or contributed towards by NISOx and NISOx collaborators.